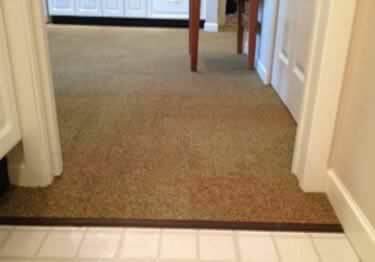 Create the perfect transition from carpet to carpet, ceramic, tile, or resilient flooring. 39 color options. On sale now, 5% off regular price. Starting at $18.41. 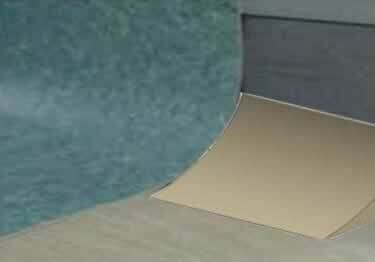 Install neatly under carpet for perfect transitions. Seven profiles & a wide arrange of color options available. 12 foot strips. On sale now, 5% off regular price. Starting at $39.22. 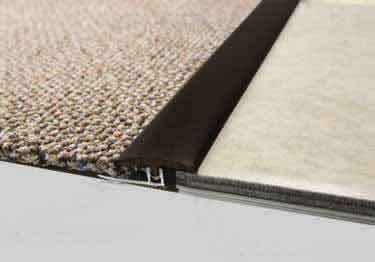 Designed for use with carpet, vinyl & resilient floors. 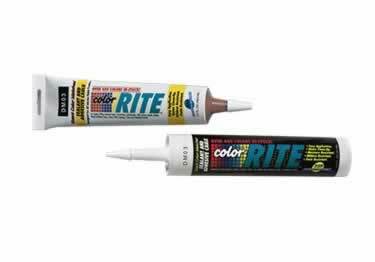 29 color options available. Range in size from 3 ft - 50 ft. On sale now, 5% off regular price. Starting at $21.43. 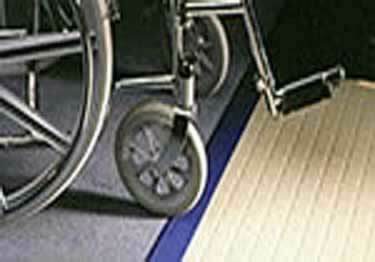 Safe, professional transition for flooring of various materials and heights. 15 Designs in 39 color options. 12 ft strips On sale now, 5% off regular price. Starting at $63.20. 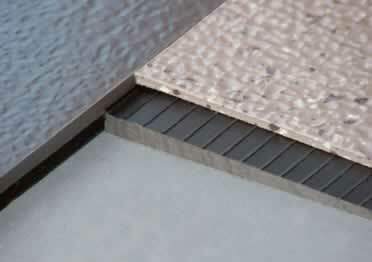 Provides a gradual ramp, creating a smooth transition for unequal elevations. 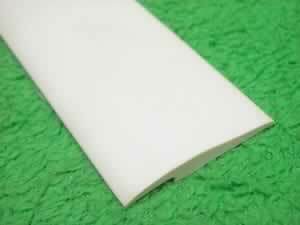 4 foot strips available in eight tapering heights On sale now, 5% off regular price. Starting at $191.30. Available in 39 colors in both straight & curved configurations for ultimate design flexibility. 12 foot strips. On sale now, 5% off regular price. Starting at $19.67. Professional transition from carpet flooring to resilient, ceramic or wood flooring. Five profiles, 39 colors, 12 ft strips. On sale now, 5% off regular price. Starting at $34.18. 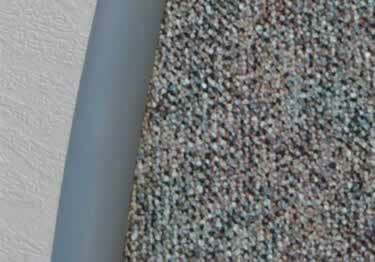 Johnsonite Threshold Carpet Strips: highly durable transition strips. 39 colors, 5-1/2", 1-3/4", 1" width strips available. On sale now, 5% off regular price. Starting at $36.53. 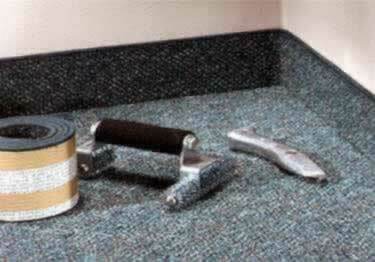 Provide the perfect professional flooring / carpet finish. Eight profiles & 39 colors. Comes in 12 ft strips. On sale now, 5% off regular price. Starting at $10.75. Provide the perfect professional flooring finish. 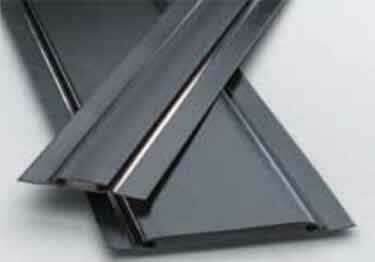 Three profiles available, come in 5 ft & 12 ft strips. On sale now, 5% off regular price. Starting at $7.45. Finish for bathtubs, counters, & shelves. 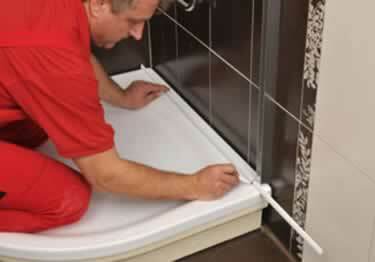 Self adhesive backing for easy install. 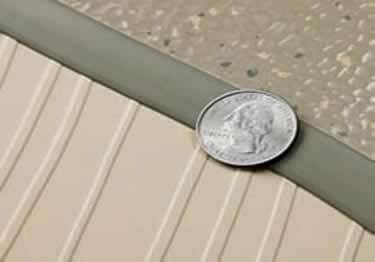 5 ft strips available in 1" & 1-1/2" heights. On sale now, 5% off regular price. Starting at $9.70.